PROTECT YOUR FRAGILE ITEMS: These thick perforated low-density polyethylene foam sheets are perfect for your delicate items like dishes, glasses and china. PERFECT FOR MOVING: Wrap furniture legs and corners to protect from scratches during bumps in the move or when shipping. Great alternative to packing paper. 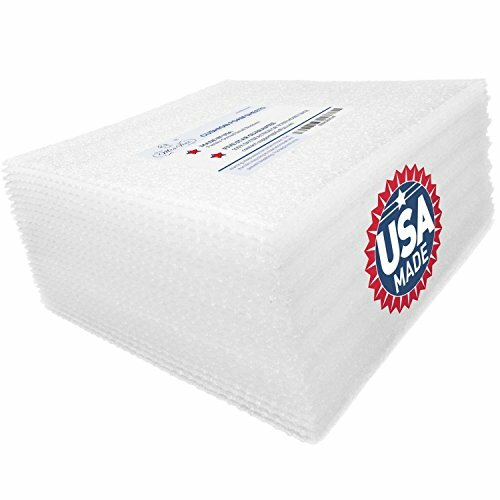 STORE DELICATE ITEMS SAFELY: This protective foam is the perfect packaging material to use for storing your seasonal items, collectibles, picture frames and glass objects. REUSABLE: Buy them once and they can be reused over and over again. If you have any questions about this product by Mrs Fizz, contact us by completing and submitting the form below. If you are looking for a specif part number, please include it with your message.